Is the next step in the evolution of fraud detection technology already here? But while these transactions may seem ethereal, the final push of a “buy” button jump starts a very physical process of product handling and movement—one with a real possibility of theft or loss at any number of points along the way before items “magically” appear in mailboxes. Retail organizations, then, face the challenge of taking their in-store employee fraud and return fraud detection capabilities into the e-commerce space. Appriss Retail is providing assistance in that effort through the power of artificial intelligence (AI). AI comes in many flavors. General AI may bring to mind a robot that can become increasingly smart as it learns from interactions and its environment. There’s also more narrowly tailored AI, in which models are developed to help machines perform specific functions. At leading retailers, AI is being leveraged for a variety of purposes. A mix of accelerated analytics and deep learning is helping retailers with pricing strategies, for example, and retailers are running daily profit optimization calculations to know how best to distribute which products to which stores. Online, AI works on customer data to help retailers provide more personalized shopping experiences and to help e-commerce platforms adapt to the needs and interest of online shoppers. AI can also fuel predictive price and forecast simulations to boost revenue by fractions of a percent, which for giant retailers can add up to millions. For loss prevention, narrow AI facilitates increasingly smart pattern detection in retail transactions. Models become more capable over time at identifying previously undetected fraud patterns, and better at distinguishing between problematic and legitimate transactions. 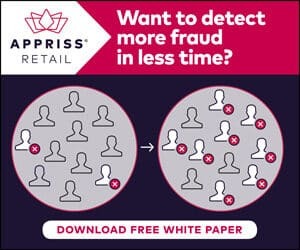 Appriss Retail has been doing that kind of work for brick-and-mortar operations, helping retail investigators be more productive with tools that identify deviant patterns in refunds and in-store fraud. The company is now applying that same approach to the whole fulfillment chain associated with e-commerce transactions. “Where AI comes in is that it can take that fraud detection to the next level, to where it’s possible to detect patterns beyond what analysts might be able to typically do,” explained Speights. It’s an area in which many retailers could do better, he suggested. One obstacle has been to get data into a platform in the right format so that LP can do the analysis necessary to identify fraud. As a result, analytics are not typically run beyond the macro transaction stage, lacking the necessary depth to detect fraud. 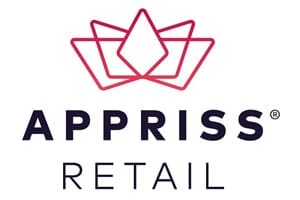 Appriss is pulling data together for retailers from multiple databases so that it’s possible to run queries, identify oddities, and study and learn from patterns—and then turning that capability loose on e-commerce transactions. “It’s been a space that’s been neglected,” said Speights. For one client, AI helped identify e-commerce fraud of up to 15 percent, said Speights. Surprisingly, the retailer wasn’t taken aback. “They were actually expecting that level of fraud was there.” With fraud detection models up and running, the retailer now has visibility into those cases and is having success in shutting them down, Speights explained. Retailers largely acknowledge that AI models are the future of LP. “People probably have set the bar really high, in fact,” according to Speights. Regardless of the buzz, “until you can show that you can spend $1 and save $5, many retailers won’t want to do it,” he noted.